A police report about a bar fight in 1985 included Brett Kavanaugh, but he was not arrested in connection with the incident. A police report from 1985 has surfaced that says U.S. Supreme Court nominee Brett Kavanaugh was accused of throwing ice during an altercation at a New Haven bar during his college days at Yale, but he was not arrested, according to New Haven police. The New York Times was first to report that Kavanaugh was accused of being involved in an altercation in 1985 at Demery's, at the time a popular college bar on Broadway in New Haven. The bar closed down in 1994. The police report, dated Sept. 26, 1985, details the allegations and says the victim told police that "Mr. Kavanaugh threw ice at him for some unknown reason," then another person threw a glass and hit the victim in the ear. "Mr. Kavanaugh didn't want to say if he threw the ice or not," the police report says. Kavanaugh graduated from Yale College in 1987 and from Yale Law School in 1990 before going on to serve in President George W. Bush's White House and on the U.S. Court of Appeals for the District of Columbia Circuit. The report comes amid questions of whether Kavanaugh was honest about how much he drank in high school and college when he testified to the Senate Judiciary Committee. News of the New Haven police report surfaced a day after FBI agents interviewed one of the three women who have accused Kavanaugh of sexual misconduct, an issue central to the debate between Republicans and Democrats over whether the bureau would have enough time and freedom to conduct a thorough investigation before a vote on his nomination to the nation's highest court. Deborah Ramirez, one of the women to accuse Kavanaugh, spoke with FBI agents, detailing her allegation that he exposed himself to her at a party in the early 1980s when they were students at Yale, according to a person familiar with the matter who was not authorized to publicly discuss details of a confidential investigation. Police found the report about the altercation at Demery's after inquiries from the media about whether Kavanaugh was involved in any incident in the city during his college days, New Haven police spokesperson David Hartman told news media Tuesday. "We had been asked some time ago, in that Mr. Kavanaugh had spent time in New Haven, his college days, if he was involved in any incident that may have been included in a police report and, through the searches of microfiche from 33 years ago, we did find one incident in which it is alleged that Mr. Kavanaugh threw ice at someone," Hartman said. "However, and to be very clear, it is alleged that the injury to that person occurred when a glass was thrown at him and Mr. Kavanaugh was not the person named as the person who did that." The victim, who sustained a cut to the ear, was treated at Yale-New Haven Hospital and the man accused of throwing the glass at him was transported to a detention facility, according to the police report. "They found probable cause to arrest the person who did get arrested and they did not find probable cause to arrest Mr. Kavanaugh," Hartman said. When asked if any other police reports named Kavanaugh, Hartman said it wouldn't be safe to say there couldn't be another report, but there is nothing to indicate any arrest. "Let me be clear. We’re talking 33 years ago. The reporting requirements and the reporting systems were very different. 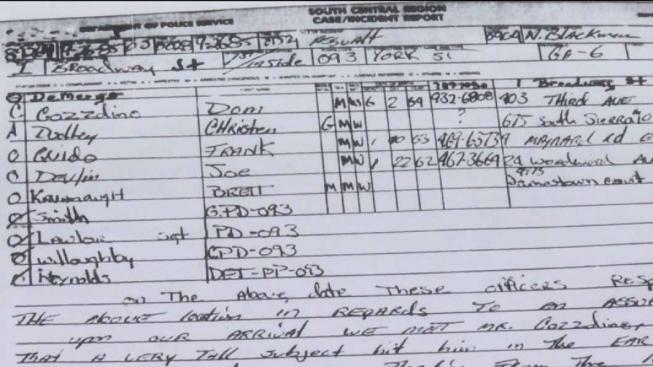 I haven’t seen a handwritten report in the last 15 years and this is considerably double that time, plus,” Hartman said. White House press secretary Sarah Sanders dismissed the New York Times report in a tweet. Facing pressure from critics, the White House authorized the FBI to expand its investigation of Supreme Court nominee Brett Kavanaugh beyond restrictions originally set last week. The FBI originally was directed to question only four witnesses: Two friends of Kavanaugh's, one friend of Dr. Cristine Blasey Ford, and Deborah Ramirez, who accused Kavanaugh of sexual misconduct while at Yale. "Democrats desperately attack Judge Kavanaugh for throwing ice during college. What motivated New York Times reporter to write this ridiculous story? Throwing ice 33 years ago, or her opinion of Judge Kavanaugh in July?" Sanders wrote. After college classmates told the press that Kavanaugh could be aggressive when he got drunk, Kavanaugh told the Senate committee that he has no drinking problem and that the answer to whether he's ever forgotten an evening after drinking was "basically no." But in a statement released Sunday, a Yale classmate of Kavanaugh's said he was "deeply troubled by what has been a blatant mischaracterization by Brett himself of his drinking at Yale." Charles "Chad" Ludington, who now teaches at North Carolina State University, said he was a friend of Kavanaugh's at Yale and that Kavanaugh was "a frequent drinker, and a heavy drinker." "On many occasions I heard Brett slur his words and saw him staggering from alcohol consumption, not all of which was beer. When Brett got drunk, he was often belligerent and aggressive," Ludington said. 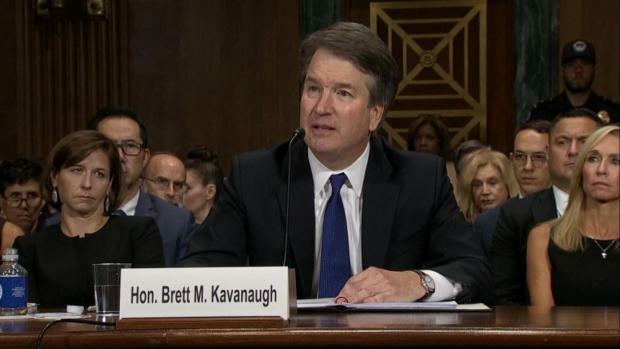 While saying that youthful drinking should not condemn a person for life, Ludington said he was concerned about Kavanaugh's statements under oath before the Senate Judiciary Committee. Ludington told the Times that he and Kavanaugh were at Demery's after a UB40 concert when the incident took place. 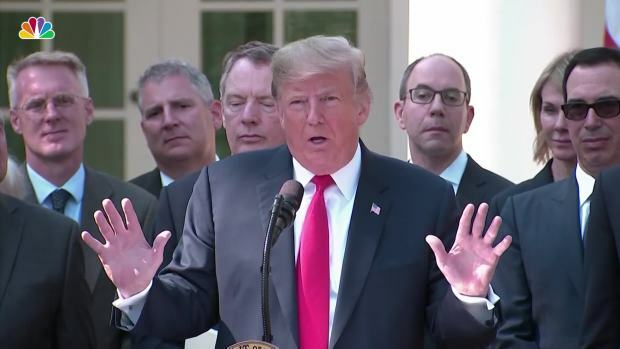 President Donald Trump said he was supportive of FBI agents questioning who they have to in the agency’s expanded background check on allegations of sexual misconduct by Judge Brett Kavanaugh.